Every Sunday, I make muffins in preparation for a week of office lunches. The muffin is our “sweet treat.” I figure it’s better to have a tasty, healthy, homemade muffin than to buy an overly sweet and really-not-so-good cookie or muffin at an anonymous café. I’ve been playing around with muffin recipes, trying to see by how much I can reduce the fat and sugar while still producing a good muffin. I think I finally got the right formula! 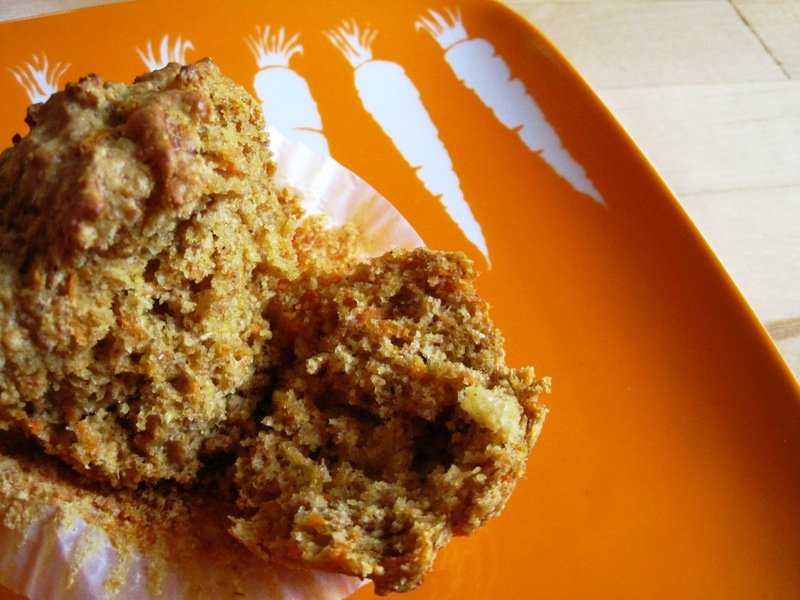 This recipe uses the standard technique of mixing wet ingredients into the dry, and results in a relatively light, moist muffin that freezes well. 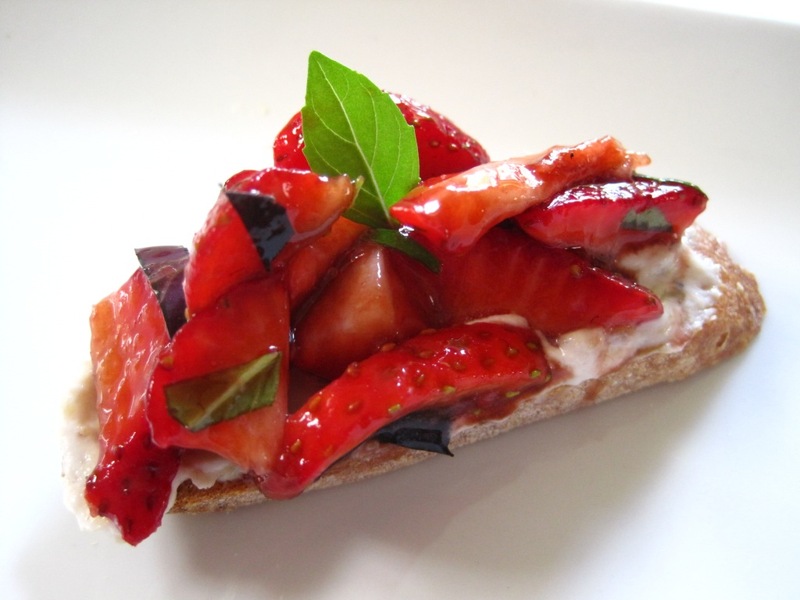 It can be adapted with any variety of flavours. Grated apples provide moisture and are easily combined with other fruit or berries, but can be replaced with grated carrots, zucchini … I haven’t tried banana with this recipe, but I imagine it would work too (maybe in a different proportion). As with anything in the kitchen, the possibilities are endless! 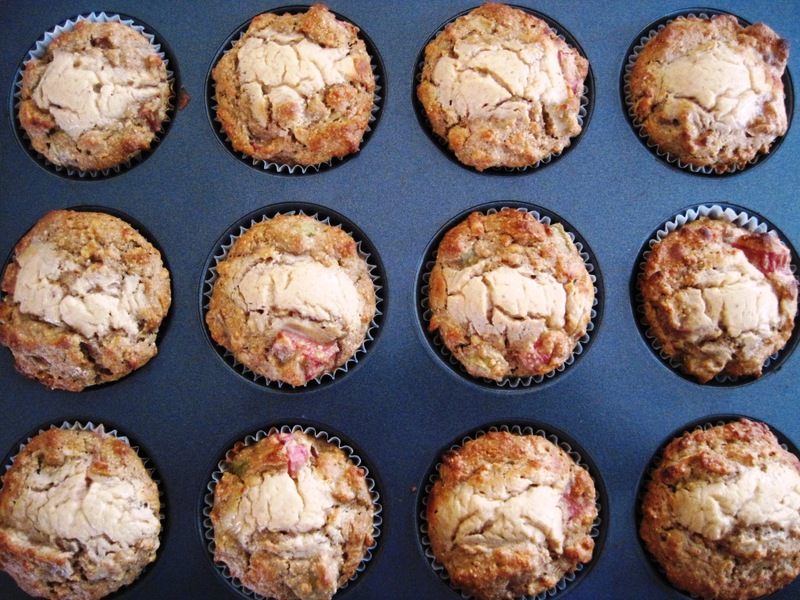 Rhubarb’s in season, so this week’s muffin brings together tart rhubarb and sweet apple in fresh harmony. I tried a cream cheese-type filling for this batch, but wasn't satisfied – needs some tweaking before sharing. 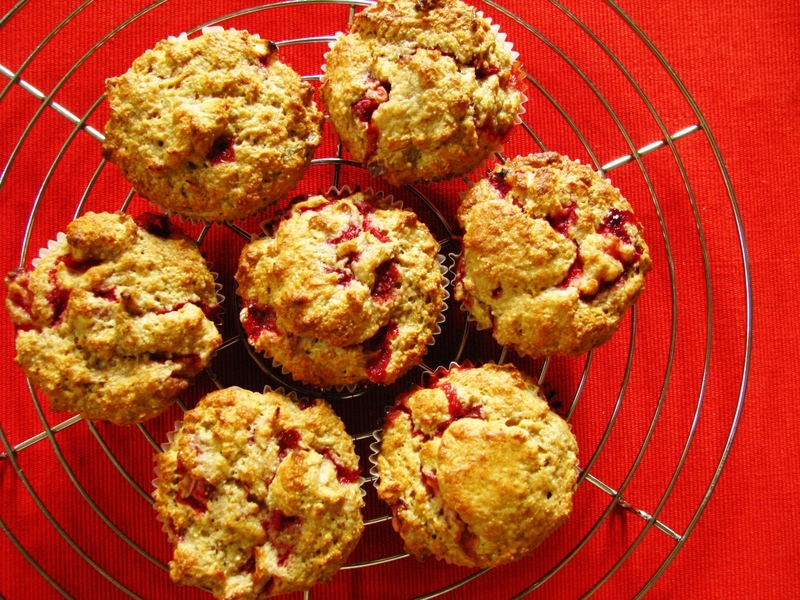 The rhubarb chunks in these muffins are a bit too big too. Tasty muffins nonetheless! Combine all wet ingredients. Combine flour, baking powder and salt. Stir in rhubarb. Pour wet ingredients into dry, and blend until flour mixture is just moistened. Sweet combination, but not overly sweet muffins! These could be enhanced by adding chopped walnuts or raisins. Replace grated apple with 1 cup grated carrot and ½ cup chopped pineapple (crushed works too, but chopped pineapple gives visible chunks and more texture). Leave out the rhubarb.